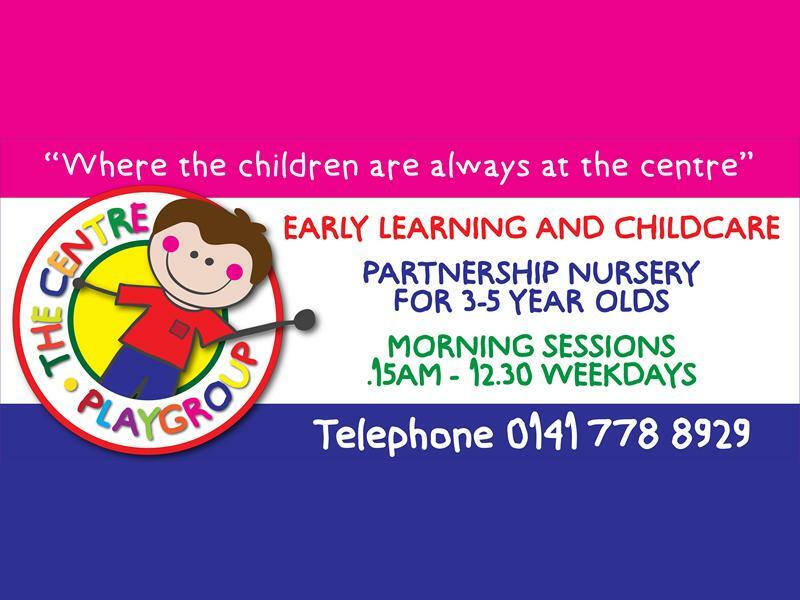 The Centre Playgroup was formed in 1971 and offers funded early learning and childcare to 35 children from 3 to 5 years old. Our staff are all fully qualified, PVG checked, registered with SSSC and fully committed to their professional development to ensure the children in our care experience the best possible start to their learning journey. Sorry, but we have no upcoming events for The Centre Playgroup. If you know of an event taking place at The Centre Playgroup or anywhere else in Glasgow tell us about it and we'll list it on the website, for free!